Features: Finish: Bronze; Shade Type: Metal Shade; Shade Material: Inner Linen Shade - Textured Beige Linen; Socket Type: Cluster with Double Pullchain. 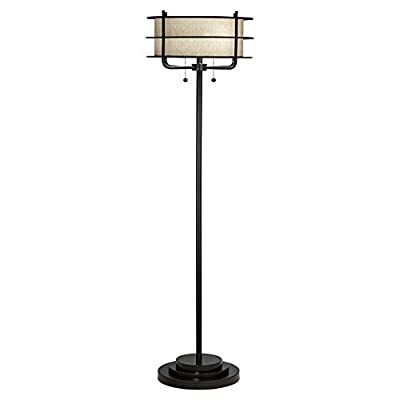 Specifications: Overall Product Dimensions: 63" H x 17.75" W; Overall Product Weight: 28 lbs; Shade Top: 18"; Shade Height: 9.5"; Total Wattage: 200. Finish: Bronze Shade Type: Metal Shade Shade Material: Inner Linen Shade - Textured Beige Linen Socket Type: Cluster with Double Pullchain.